It's that time of year again, meharties. Talk Like A Pirate Day is coming up at the start of next week. Now, we all know pirates love to get things for free (you think they got all that gold through stocks and bonds trading? 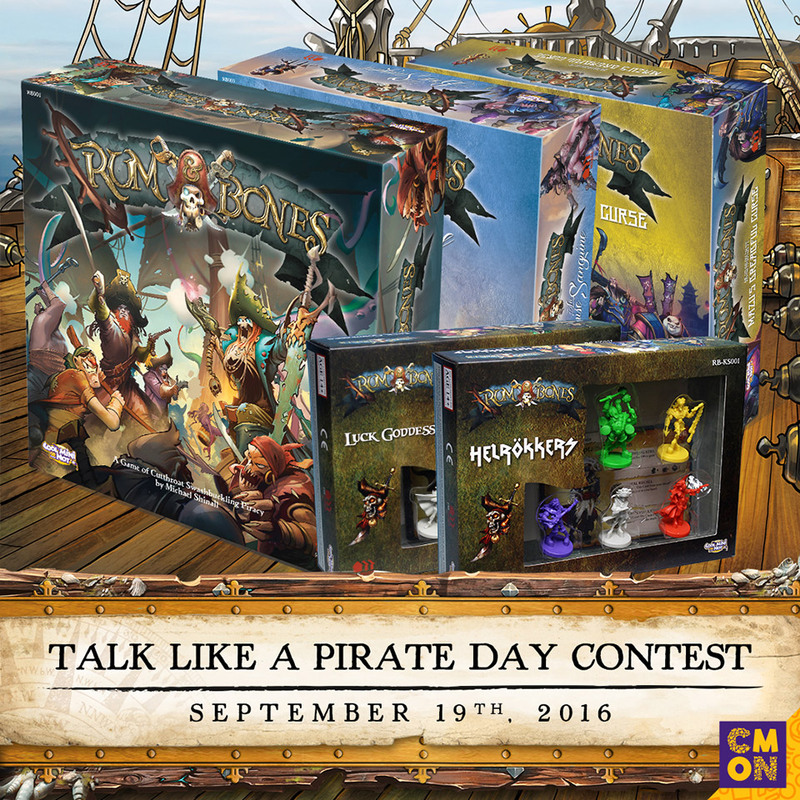 ), and so in true pirate tradition, CMON is giving you a chance to walk off (the plank or otherwise) with some free Rum & Bones booty. All you have to do is dress up as a pirate and post to Twitter, Instagram, or Facebook using hashtags #TalkLikeAPirateDay and #RumandBones along with a photo of you in your best pirate garb. One winner will be selected to win the Rum & Bones core game, Mazu's Dreadful Curse, La Brise Sanguine, the Luck Goddesses box, and the Helrokker box. Quite a load of treasure there. Entries are being taken now.